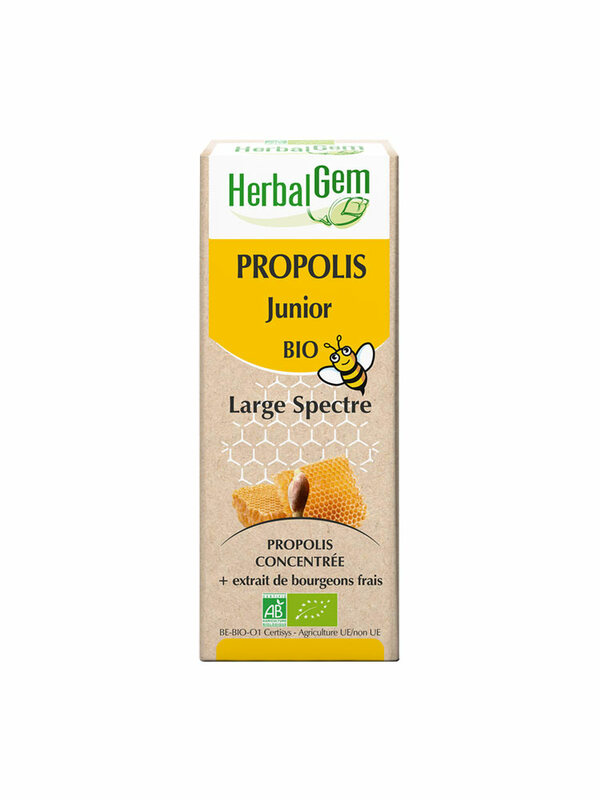 HerbalGem Organic Propolis Junior 15ml is a protective solution for children from 3 years and over, ideal during the first signs of cooling. Propolis is a resinous substance harvested by the bees on the buds in order to protect the hive from external aggressions. It is enriched with Echinacea and essential oils that support the defense system of our body. Take 2 to 3 drops per day. 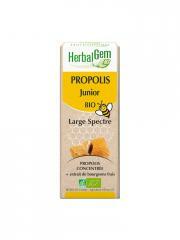 Propolis TM hab*, Echinacea TM hab*, Huiles Essentielles de : Cymbopogon Citratus*, Cinnamomum Zeyl. *, Melaleuca Alt+Viri. *, Eucalyptus Rad. *, Glycérine Végétale, Alcool* : 50% vol.